Get it Free! 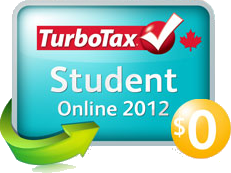 Students get TurboTax Online 2012 free at Intuit.ca. Where you a student in 2012? 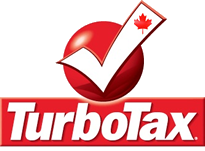 Then you may qualify for the free edition offered to students from TurboTax Canada. As long as your household income was less that $20,000 for the year and have proof of paying tuition in 2012, then you can take advantage of this deal. Follow the above link to go to Intuit.ca (the official Canadian TurboTax site) for full details of this offer. TurboTax has offered students very comprehensive software to meet their tax return needs. Student Online Edition is available to post-secondary students who paid tuition last year and have a T2202A, TL11 (or equivalent), and their total income did not surpass $20,000. As a student, you might be just joining the workforce and not have much knowledge about the whole filing process. Nothing to worry about as TurboTax has addressed this with EasyStep Interview process. The software leads you from one step to another until the successful completion of your return. The software includes all forms and is up to date with the current tax laws, which guarantees the calculations performed. At any moment, you know where you are in the return process and what’s still left to do. If you need to take a break, just mark the current section and get back to it later. Explanation of tax terms and access to Live Community. Current amount of refund; it fluctuates as you provide more details about the past year; TurboTax asks you for all deductible items related to attending school, such as tuition, textbooks, public transportation passes, lab fees, and even moving expenses. Option to go back and forth between different sections of the return. You can carry forward your last year’s tax information even if you used different software to do it (import from TurboTax, UFile, or H&R Block). RRSP and Pension Income Splitting Optimizers come with tips on how to manage it even better in the future and let you try out different scenarios. The software reviews all information to assure 100% accuracy and maximum refund, points out potential audit triggers (Audit Defense can be purchased separately and include professional representation in case of a CRA audit), and lets you mail the return or file electronically with NETFILE.